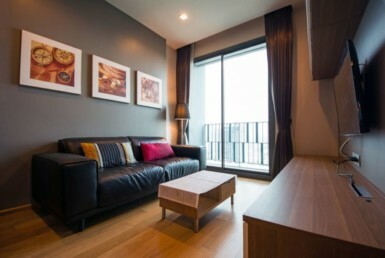 A spacious condo, Supakarn Condominium is for sale at a price of 22.8 million baht includes a 3% commission. 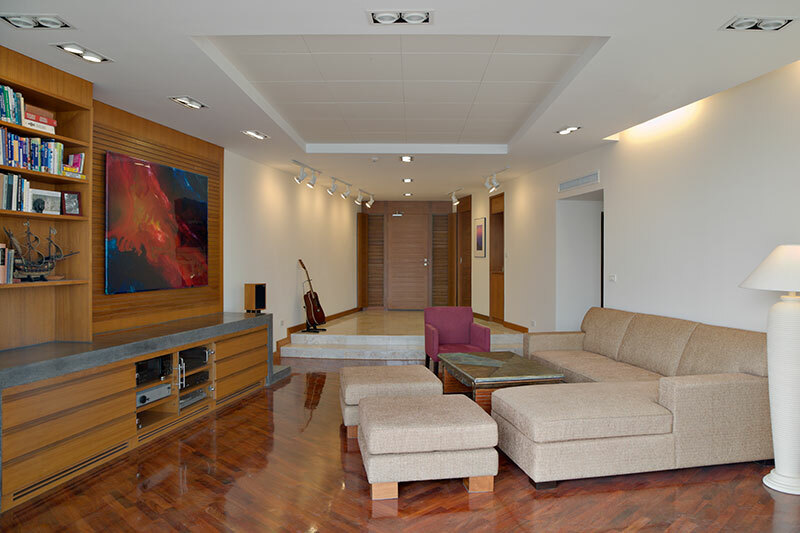 The condominium building has 36 floors, with units ranging from 1, 2 & 3 bedrooms. 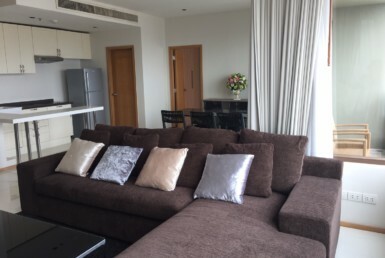 Supakarn Condominium which is located at Khlong Ton Sai, Khlong San has the following facilities: cctv, parking, 24/7 security and swimming pool, fitness, etc.. 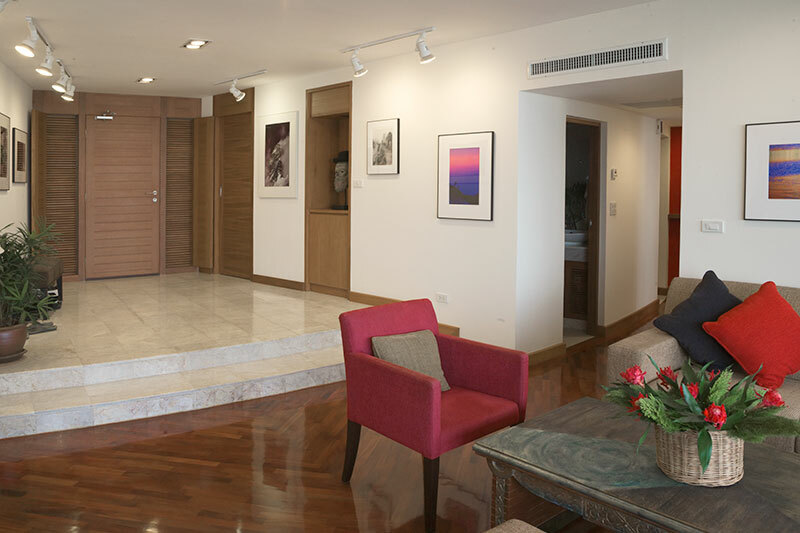 Nearby amenities around the condominium consist of restaurants, hospitals, clinic, dental clinic, etc. 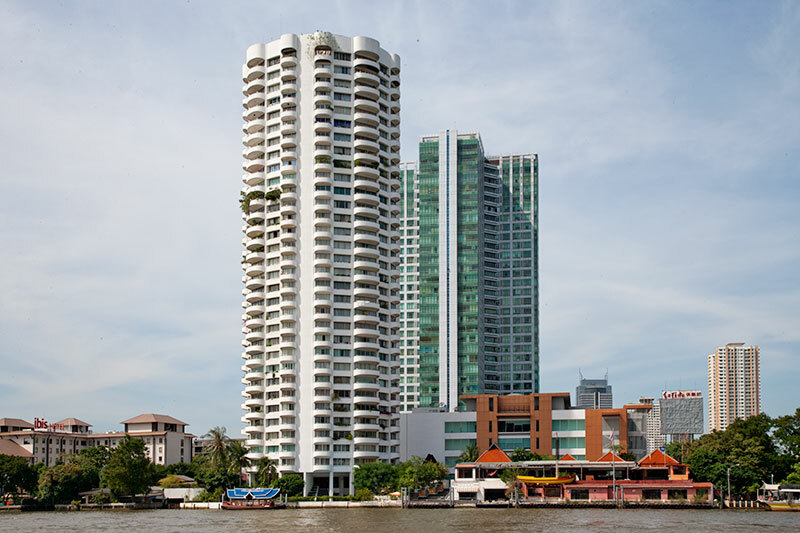 The location of Supakarn Condominium is next to the Chao Phraya river, and can be accessed from public transport stations of Wongwian Yai, Wongwian Yai Railway Station and Bangkok Hua Lamphong Railway Station. 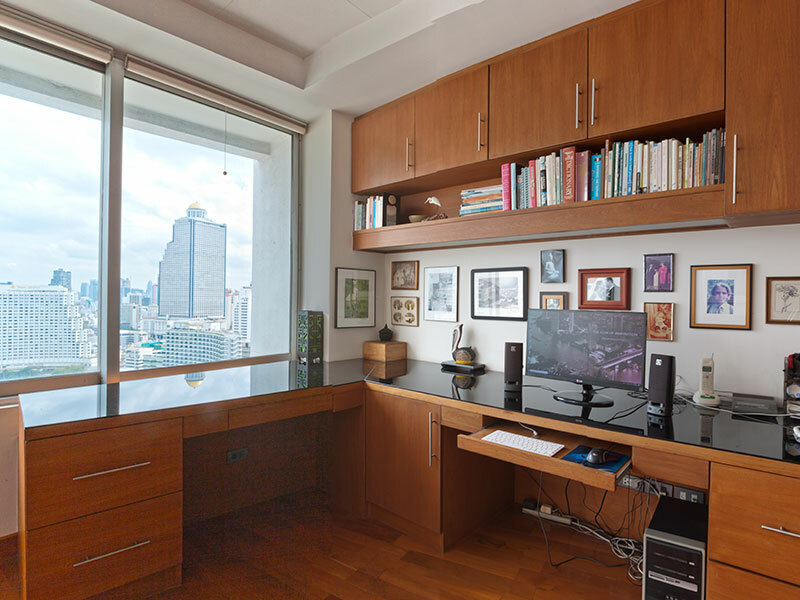 This 178 square meter, 2 bedroom, 2 bath condo unit on the Chao Phraya waterfront has the character of a single family home with the convenience of a condominium. 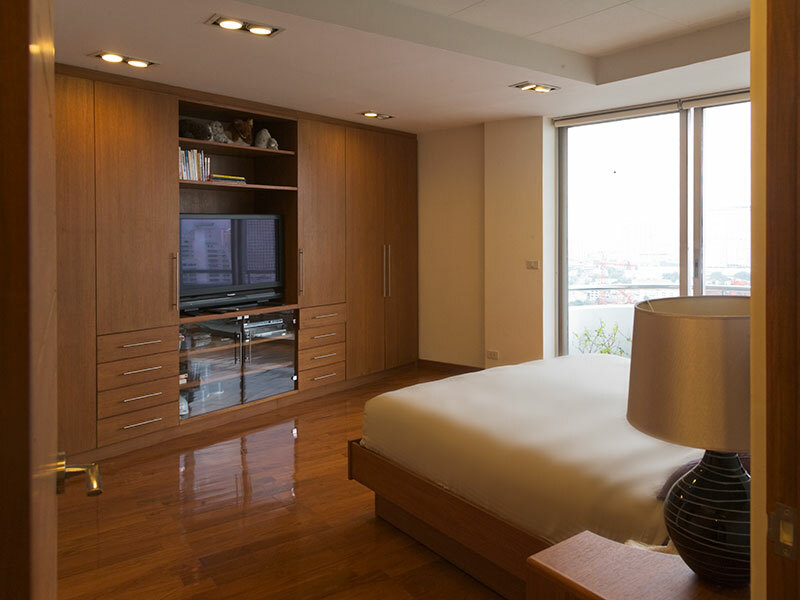 Beautiful, comfortable, renovated condo, interior design by a Bangkok architect, on floor 28 of the 34-floor Supakarn Condominium building housing only 70 units. The unit has 2 balconies, one of which is large enough for entertaining several friends at once. Windows and views to the north-east avoid the hot sun during most of the day. Natural airflow through the unit keeps it cool much of the time without needing A/C. 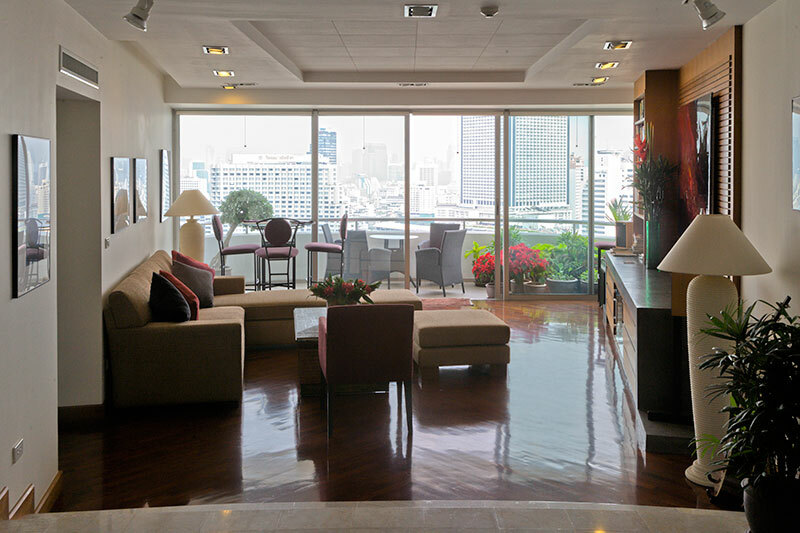 Supakarn condominium is a well-maintained high-rise building that dates from about 30 years ago. Co-owners have worked hard to keep the infrastructure in great condition. It has a shared but private boat that runs across the river from its private pier to the Sathorn Pier and Saphan Taksin BTS. Western all-electric kitchen. 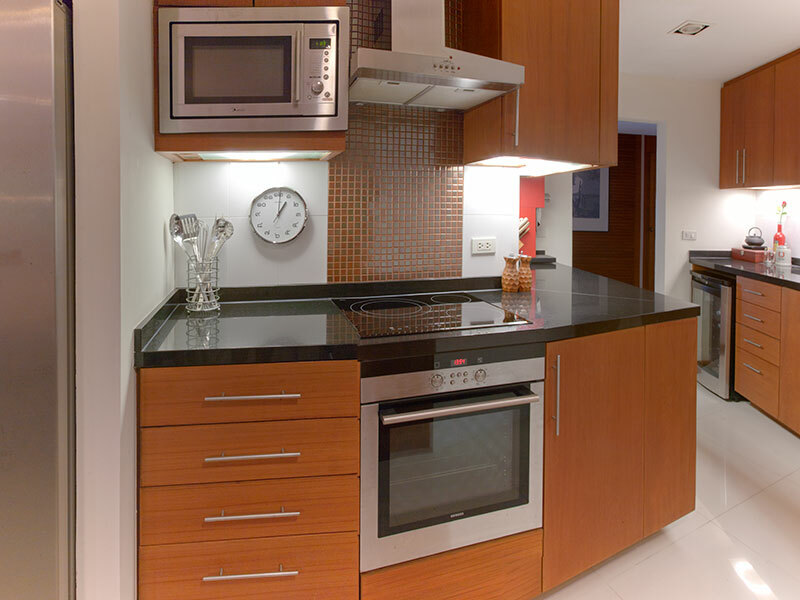 Ample teak cupboards, cultured granite counters. Italian made MEX ceramic hob and vent hood, Siemens convection oven. Siemens side by side fridge-freezer with in-door water and ice dispenser. Tecnogas microwave. Smeg stainless double sink with drainboard. GE under-counter wine cooler. Reverse osmosis water filter provides purified water to a tap at kitchen sink and to the fridge water dispenser. Full-sized washing machine and dryer installed beneath separate counter with teak doors to close when not in use. Makha, teak, and tile flooring. Teak baseboards. Front entrance has side panels to open for air flow. Back door opens to bright hallway with trash and electrical cupboards, large service lift, and emergency stairs. Northeast facing avoids hot daytime sun. Large sliding glass doors and windows let in light and river breezes. Unit wired for 110 as well as 220 volts for the convenience of folks from North America and Japan. New, energy efficient, central air conditioning. High quality Grohe bathroom fixtures. 3 on-demand water heaters (not visible): bathrooms and kitchen sink. Storage cage at ground level. 2 large parking spaces located near lift in covered car park. Distinctive contemporary design by American architect to US standards. Approx. 30-year-old, freehold, well-maintained building with helipad on roof. 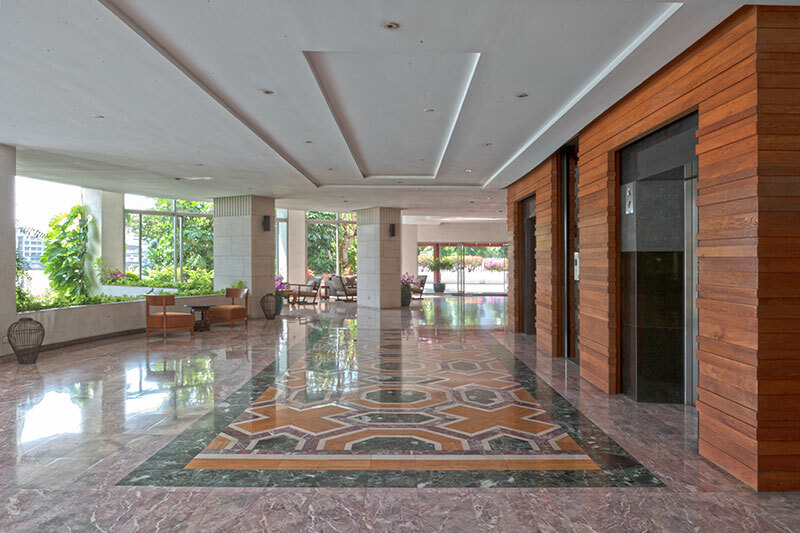 Spacious, renovated lobby with waterfall and views of the river. 24 hour security, CCTV. Security card access to lifts. Good condo management and staff. New electrical generator for power outages. Riverside pool with lounge area. Recently renovated gym with top notch equipment. Space for future development of tennis courts, racquetball and more. Shared, private ferry boat crosses to Sathorn Pier and Saphan Taksin BTS. 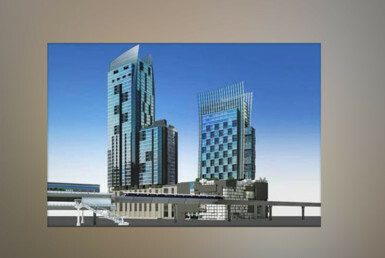 Rain roofs above drive designed by renowned Thai artist Thawan Duchanee. 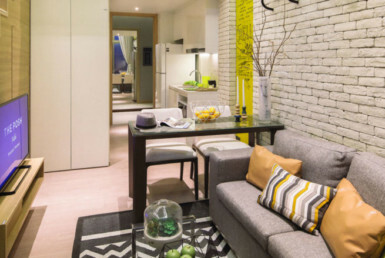 Condo bylaws prohibit short term rentals. No pets. Villa Market in Senafest Mall across the street. Tops Supermarket in Robinson’s across the river. Many restaurants and street vendors. Supakarn Center food court and convenience store open M-F.
Shrewsbury International School down river. Attractive park with recreation for adults and children.